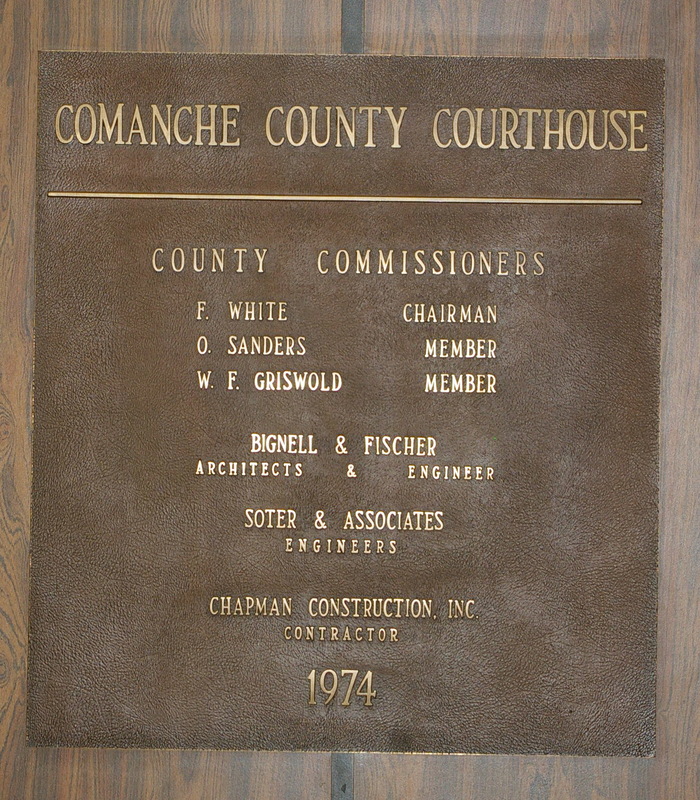 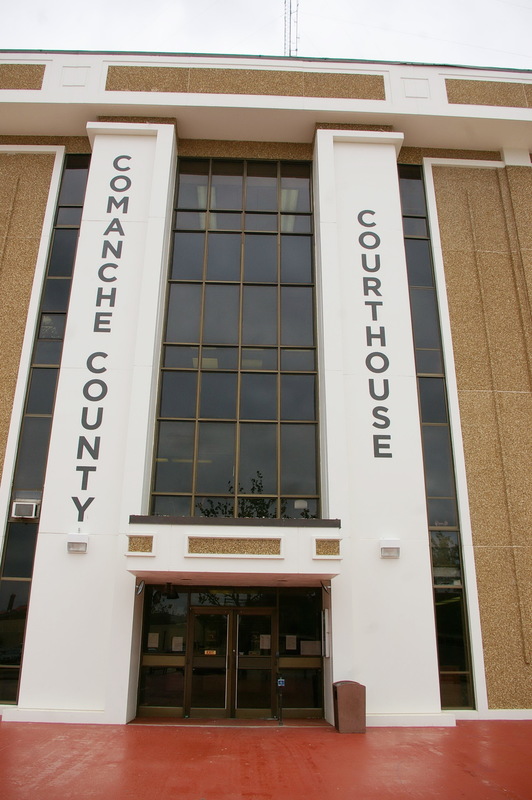 Comanche County is named for the Comanche American Indian tribe who resided in the region and derives from the Spanish “Camino Ancho” meaning “broad trail”. 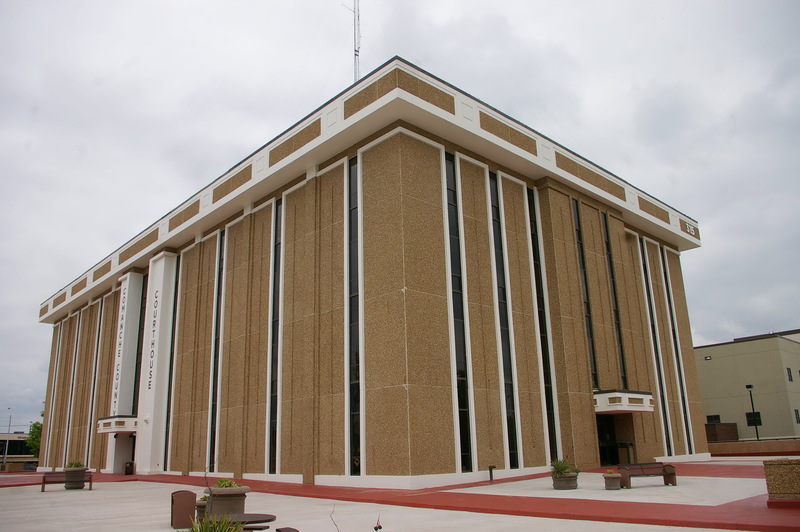 Description: The building faces north and is a three story brown colored brick and concrete structure. The building is located on landscaped grounds in the center of the city. 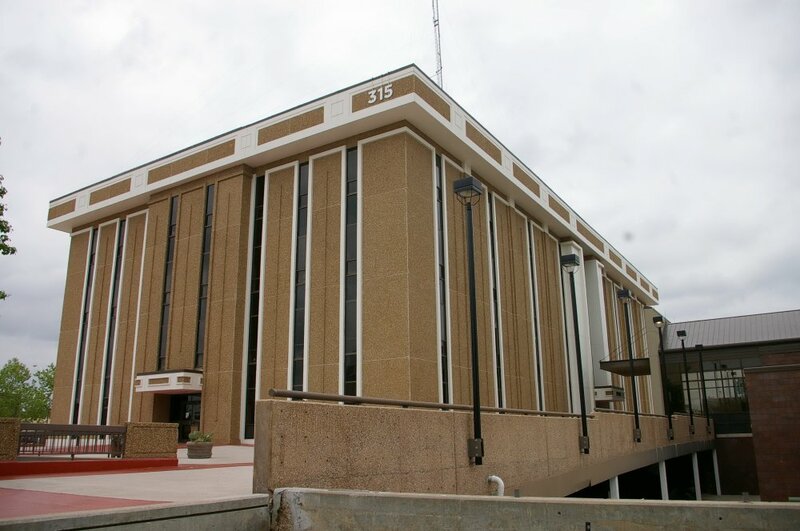 The lat roof over hangs the building. 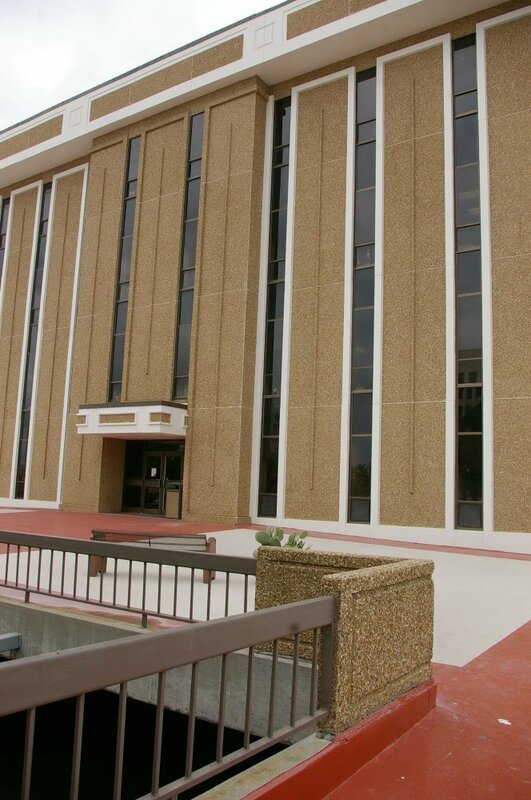 Two vertical pillars frame the north entrance which has a small canopy. 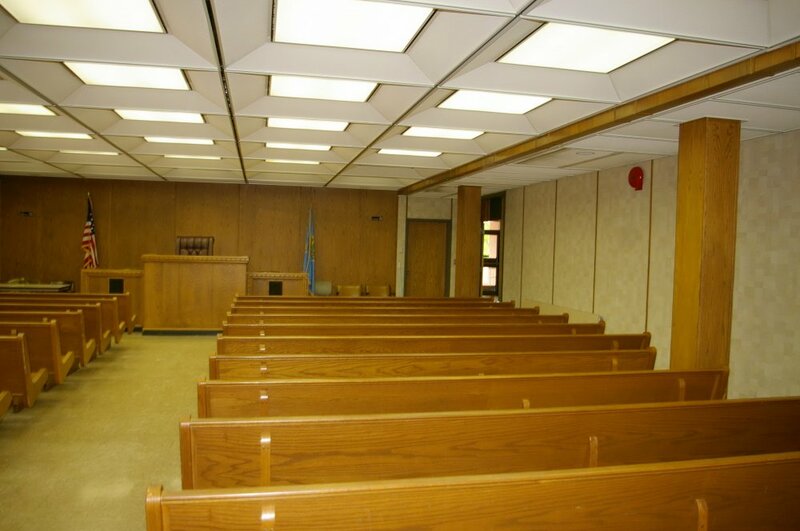 There are vertical white colored lines with narrow windows between. 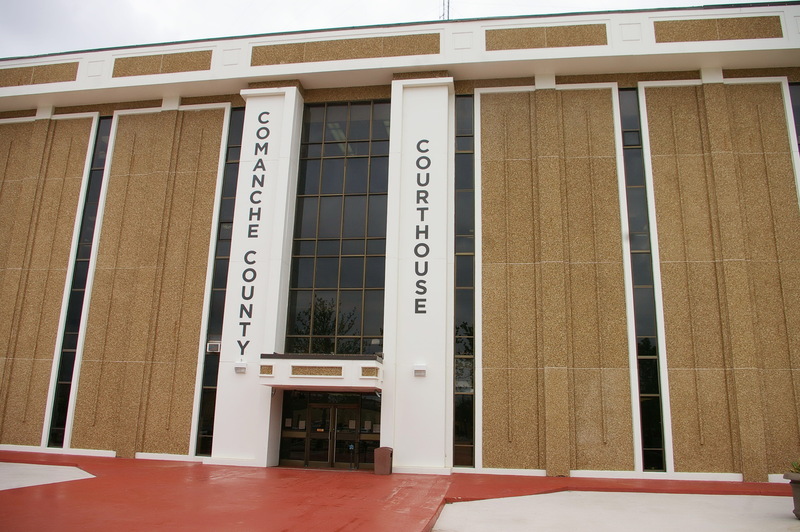 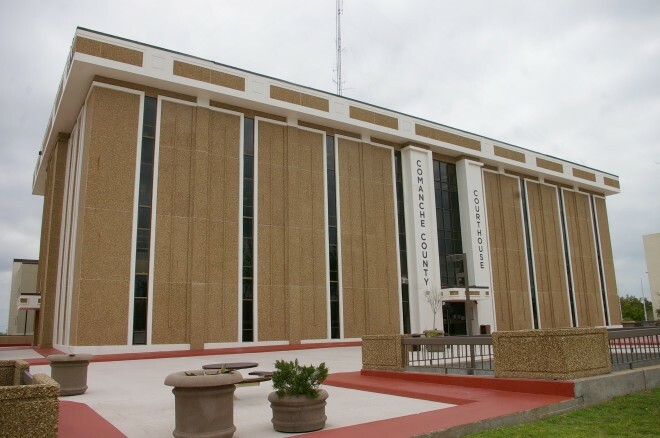 Note: Previous courthouses were designed by H J Van Denberg and constructed by Frank Samuel Construction Company in 1902 and designed by Tonini & Bramblett and constructed by Walt R Henrich Construction Company in 1939.